The new Kennedy Half Dollars including proofs Dansco Continuation Album #8167. This new 8167 album starts with 2012- P and is printed through 2021-S Silver Proof. 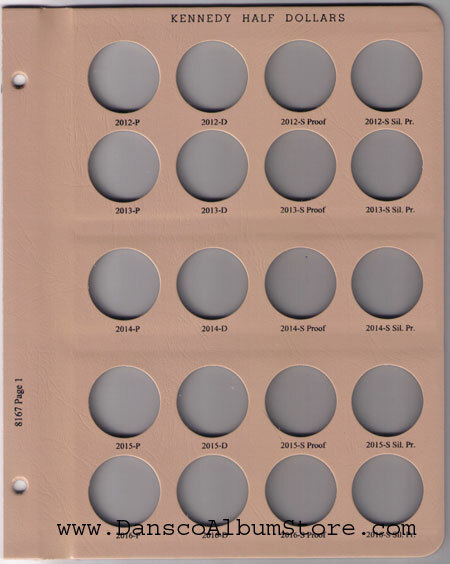 Dansco has also updated 8166 page 8 so that there are 2 blank ports where the 2012 P and 2012 D were printed previously.